Jason’s birthday is on Sunday. He would have been 36 years old. I can’t picture him as a 36-year old. He will forever be 19 to me. I don’t know for sure what he would be doing had he lived, although I can imagine – work, wife, kids. I know that, whatever he did, it would have been a life lived with love and joy, a life I would have loved to see. By now, as an anniversary, birthday or holiday approaches, I have learned to recognize the anxiousness that arises from deep inside of me, the tears just below the surface that seem to have a mind of their own and fall at will, the fight or flight reaction I seem to have in response to stressful situations. Recognizing the approaching emotionally-charged day doesn’t lessen my reaction to it; it just reminds me to be gentle with myself and cut myself some slack. The thing about an approaching emotionally-charged day that a bereaved parent may be experiencing is that the world still rolls along, and we have to be able to function and cope in that world. Time doesn’t stop for our grief, and grief doesn’t exactly work around our (or anyone else’s) schedule. I can’t sit at my desk at work and cry. I have to carry on and do my job, whether or not Jason birthday or death day anniversary may be approaching. I’ve learned that the days approaching Jason’s birthday and the day he died are usually harder than the actual calendar day itself, but I still have to be able to function in my daily life and then grieve in an appropriate, safe place. This has been a difficult and stressful week at work, full of fried motherboards and computer glitches galore. I’ve had to sit still for a few moments now and then to concentrate on breathing deeply in order to manage my emotions. What I really wanted to do was drive away to really beautiful place, think about my precious boy, and cry because I miss him so much. That’s not exactly a very practical thing to do in this hustle and bustle world, and is something few people would understand. “The show must go on,” as they say. And so, I do my best to distract myself and to keep myself occupied with some perceived important task at hand until I can take the time to grieve as I should. I say “grieve as I should,” because it’s entirely appropriate and necessary for me to acknowledge this great loss and to grieve the death of our son, no matter how long it’s been. I will always miss Jason with all of my heart. I love you, my precious boy, and I miss you. I would like to share this Facebook post in its entirety. It is the most comprehensive article I’ve read about the longevity of grief following the death of a child. My precious boy. Jason David Carney. Life is not the same without you. 1. Four years on I get up every day with the exact same sadness I had the day Ella died. The only difference is I’m more skilled at hiding it and I’m much more used to the agony of my broken heart. The shock has somewhat lessened, but I do still find myself thinking I can’t believe this happened. I thought that only happened to other people. You asked how I was in the beginning yet you stopped, why? Where did you get the information on what week or month was good to stop asking? To the friends and family that found the entire death and dealing with my sadness all too hard and held secret events behind our backs that were lied about, stopped inviting us to things we had always been included in and slowly ended our relationship thinking I didn’t notice. I did notice. The only reason why I never said anything is because I’m not wasting my words on your shameful behaviour. I am thankful for something though – I didn’t waste any more time on people that were capable of such shallowness and cruelty. Please don’t fear. I would be the first one by your side if the same thing happened to you. That should give you some indication of how horrible it is. 10. Grieving for a child lasts until you see them again. It’s a lifetime. 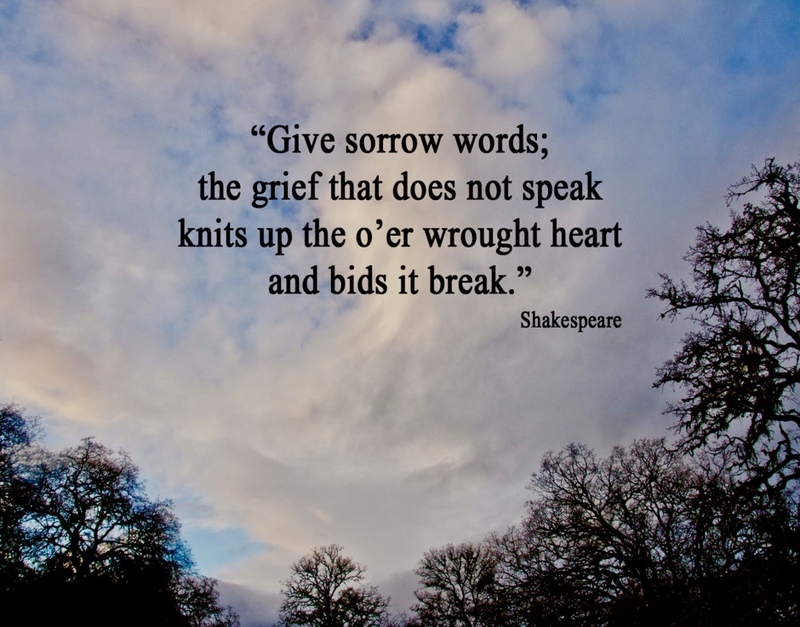 If you’re wondering how long your friend or family member might be grieving for, the answer is forever. Don’t rush them, don’t trivialise their sadness, don’t make them feel guilty for being sad and when they talk to you, open your ears and listen, really listen to what they’re telling you. It’s possible you’ll learn something. Don’t be so cruel as to give up on them remember it’s not about you it’s about them.